Horizon's CC Series is intended for the yacht owner who is seeking a superstructure design and layout that is unique to his vision. Based on a proven hull platform, yachts in the CC Series begin at 80 feet and can accommodate the styling, layout and amenities the owner desires. Whether your ideal yacht is a stylish and stable motoryacht equipped with a beach club or helipad, an efficient luxury catamaran, or an ice-classed steel expedition vessel, yachts in the CC series capitalize on Horizon's strengths, decades of building experience, and wide-ranging expertise in the area of yacht technology and construction. 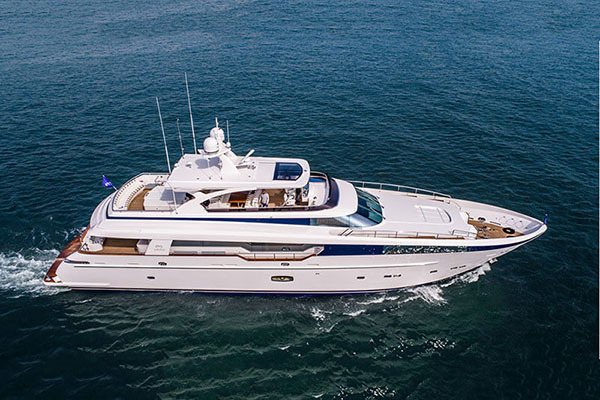 Horizon Yachts has the capability, the facilities, and the expertise to build the custom yacht of your dreams.